I am known for my adverse reactions to green notes. While I can admire a well-made green perfume for its originality and the ability to invoke the charms of nature in spring or a well-watered garden, it is very rare that I find a green scent that I personally love (as opposed to intellectual admiration from a professional point of view of a perfumer). My relationship with No. 19 has been always ambivalent. When I started exploring the fragrances by Chanel, the first one that I fell for was none other than Cristalle. The sparkle of sweet citrus and bright greens is set against the sweetness of magnolia and other florals at the heart, and the base is again equally mossy and ambery-sweet. A perfect balance. At the time, I had my mind set on purchasing only pure parfum, and having quickly found out that Cristalle exists in none such form – I had to turn to something else from the line. The ultimate alternative was No. 19. With the abundance of nature notes, this should be anything I can dream of – at the time I was completely smitten with anything that bore the slightest resemblance to Chypre. By all standards, No. 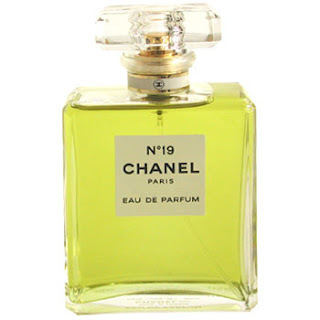 19 should have been my favourite Chanel. And so I tried it on, and every single time I worn it I felt immediately a sense of sadness, as if my heart just missed a beat and twitched in pain and longing for something unknown; my throat became tense with the anticipation of crying; my eyes were just about to cry yet the pain seemed too grave to allow the tears from flowing. I could never find the answer to this intense emotional reaction. I don’t recall knowing anybody in my early life that was wearing No. 19. Nor did I recall a particular memory when wearing No. 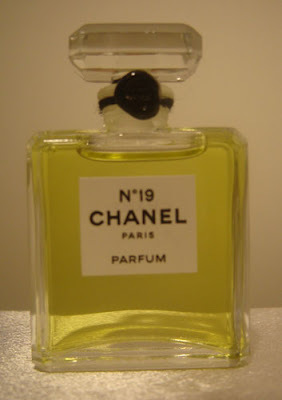 19 (I usually get visual images of places and experiences of when I first smell a certain perfume or a note when I smell it again). With No. 19 all I had was an emotional reaction. I refrained from wearing it for the most part, and needless to say I did not own any form or size of this perfume in my ever-growing collection of perfume classics. What got me back to No. 19 was a lover. A French lover to be precise. A comical young man who spent most of his life traveling around on a little bicycles that wouldn’t even fit a 3 year old. There was nothing serious about this relationship, and it wasn’t meant to last very long (especially not since a few weeks later I actually met with my True Love). But he did appreciate perfumes, growing in a country that prides itself for making the best perfumes in the world. No. 19 happened to be one of his favourites, and so I decided to give it a try and wear it for him. Guess what happens? The guy decides to be really late, and so a self-fulfilling prophecy is once again proved. And No. 19 just intensifies its melancholy, heart-twitching properties. Just a month or two later, I use No. 19 as a litmus paper. I smell a phantom scent of it when I fall in love. I put it on, and all I experience is this heart-breaking sensation of longing and loss and beauty. Ok, I may be in love, but I can’t wear No. 19! Once I realized and accepted that, white a couple of reviews to substaintiate my theory (see below), I passed the bottle on and swapped it for Parfum Sacre. I will be avoiding No. 19 for about 3 years. Until a couple of weeks ago, for no apparent reason. I decide to try it again. I do so cautiously: first, a scented strip. I keep it in my pocket for a couple of days and I can’t stop noticing how much I like it! Even though it’s definitely the recogniziable No. 19, it does not trigger those dramatic feelings. I just smell it for what it is. I am now driven to go and try it on my skin! I try the EDT, than the EDP. They are too different and I can’t make up my mind which one is better. The EDT seems thin and very cool (mostly iris and vetiver). The EDP is gorgeous, but I was fearing it’s not quite as authentic as the pure parfum might be, so I settle on the parfum again, and delight in it for a full week, wearing nothing else – and feeling utterly happy about my perfume choice every time I do. I finally find in it the aromatic delights and the elegance of nature: the astringent qualities of lemon; the crunchy greenness of galbanum; the smooth coolness of orris root; the cucumber-like glide of violet leaves; the ever-unfolding beauty of rose petals and jasmine blossoms; the distant undergrowth of oakmoss; and above all, the tart sweetness of vetiver. Vetiver, violet leaf, orris and galbanum make a stellar performance in this classic green-chypre-powdery-woody perfume. The overall feeling is equally elegant and composed, and at the same time, free-spirited, wild and grassy. I find myself utterly compelled to enjoy a new world that I could not enter before. 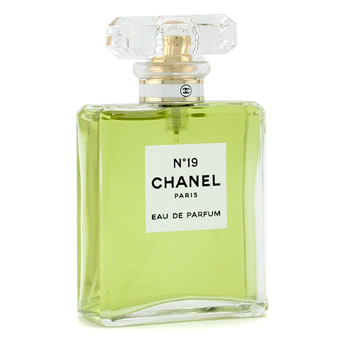 The Eau de Toilette comes in a variety of sizes and shapes, but none look like the classic Chanel flacon, so it’s really easty to recognize it. It comes in either a refillable metallic-cased spray bottle (brushed aluminum look), tall rectangular glass bottle with either a black or a silver capy as a refill, or a flat sharp-edged rectangle spray bottle with a rectangular black cap, amongst other shapes that you may find otehrwise. 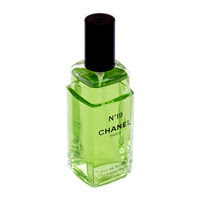 The EDT is very light and sheer. I found it to be amost aquatic. It opens very lemony and citrusy, along with the galbanum of course. The cucumberness of the violet leaf really stands out here, and there is a most apparent presence of lily of the valley accord. The sheerness of the EDT makes the contrasting elements of woody vetiver, powdery orris and cool violet leaf almost startling. But it’s all very smooth and apprehensive. I have a suspicion this was reformulated recently and that’s why it smells so aquatic. I can barely notice the jasmine and rose form Grasse, which really make No. 19 quite unique (these two essences are becoming very scarce). But knowing how widely No. 19 is distributed, I would not be surprised if these rare essences are saved for the higher concentrations. I personally prefer the EDP and the pure parfum over the EDT, but I know many will disagree with me and will say that the EDT is superiour to the EDP. I tried the EDT from testers in two different retailers, and I could almost swear they did not smell the same. This just substantiates my suspicions about reformulations. I am willing to go back and put it to the test again, and when I do so you will read about it here. 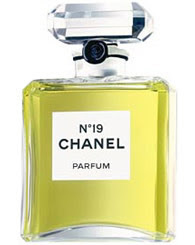 The Eau de Parfum comes in a bottle that resembles the classic Chanel flacon, only larger and with a spray apparatus. It is richer in the floral notes, and I found it very interesting and rounded. The roses really shine here and are more apparent than in either the EDT or the parfum extrait. It was the EDP that converted me to No. 19 after years of abstinence.... I would have bought it in this formulation, if only the price wasn’t so close to the pure parfum. To top it off, I am an avid parfum extrait collector. The Parfum may have a slightly less emphasis on the florals than than the EDP, and the greenness reigns here, with the violet leaves and vetiver and orris being the stars of the show. I am very happy with this form, but than – I am known for my bias for parfum extraits: I think this is simply the most elegant and sensual way to apply perfume. You may just choose the pure parfum because perhaps, like me, it’s less likely that the ones in stock in stores are yet reformulated (because of the ever tightening IFRA guildeines and EU regulations regarding oakmoss). The extrait simply doesn’t fly off the shelves as fast as the other forms. Below are my “love it/hate it” reviews of No. 19 from three years ago. It’s interesting to note how the notes that were dominant for me back than have changed. I now notice the vetiver while back than I didn’t precieve even a trace of it… It’s quite interesting to see how my perceptions – both emotional and olfactory – have changed so greatly over time. If these is any moral to my No. 19 story – it is the endless possibilities that awaits us in the world of aromatics. If you open your mind and open your heart, you might be able to surprise yourself too.